Yvonne’s Dad is celebrating and it has Yvonne in a tiz, as she tells us in her blog post. It’s my dad’s birthday – again! He’s not being difficult, my dad is just not a materialistic man and literally wants for nothing. In the end I plumped for a DVD box set of a comedy show he likes, figuring he and Mum could watch it on an inevitable rainy day while away in their caravan. The art of giving the right gifts, however, seems to have passed me by. Yet my eldest daughter has it down to perfection. She’d been in town with a friend when she commented on a framed art piece which she knew I would love, but rather than buy it, she opted to make it herself. 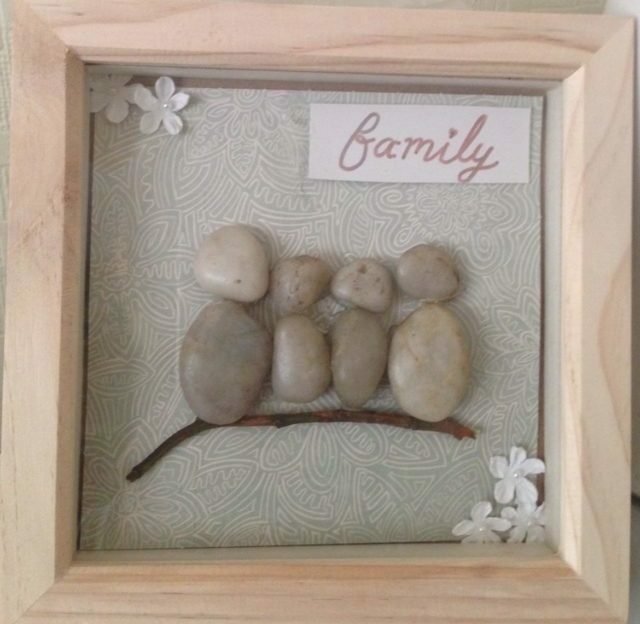 Her handmade project used pebbles to create a picture. Armed with some ideas from Pinterest and a glue gun, Megan set to work. Her shriek of delight as our cat bolted through the cat flap bearing a twig, had me scratching my head as I wondered how on earth this was to be used in her project, which remained under wraps until she’d finished. The end result brought tears to my eyes – it wasn’t even my birthday! 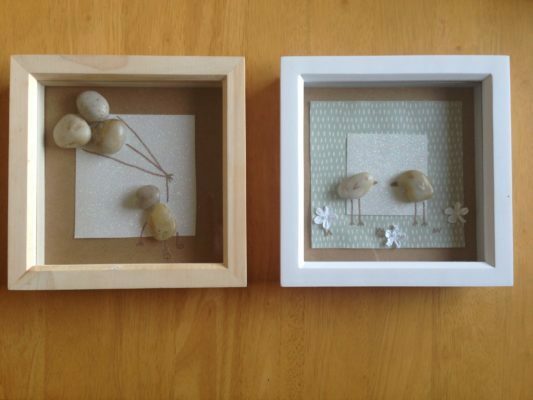 She also made one for her friend and one for her grandad, a birthday gift to be cherished. The comedy DVD set just didn’t cut the mustard by the way – turns out they’ve already got that set. A subscription to The People’s Friend would also make a great birthday present we think!